Where am I going with this, you ask? Epic places, I respond. Epic places. 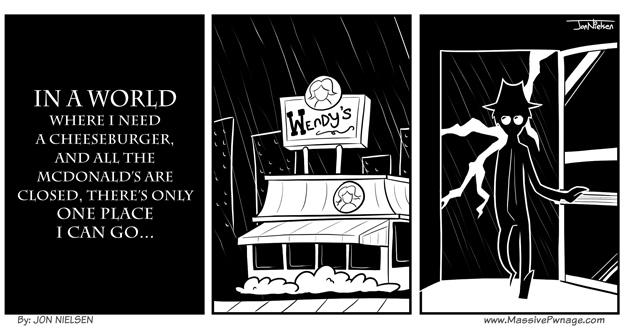 This entry was posted on Monday, June 22nd, 2009 at 12:00 am and is filed under Comics. You can follow any responses to this entry through the RSS 2.0 feed. Both comments and pings are currently closed. i say any fast food burger is good but wendys, in-n-out and harveys *i live in canada, lol* top them all off.